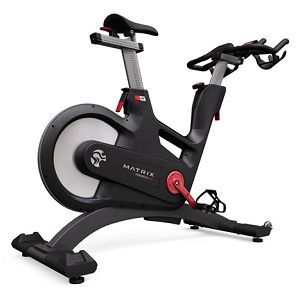 Indoor Cycles (also known as Spin Bikes, Group Cycles, or just Spinners) mimic the feel and posture of actual cycling, and are generally the choice of bike racing enthusiasts and serious fitness devotees. 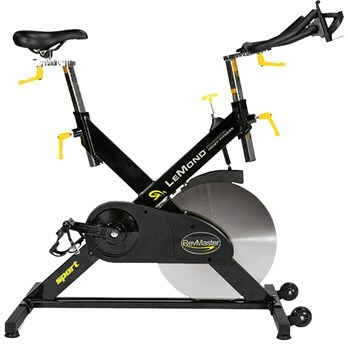 When it comes to design, the biggest difference between a spin bike and an exercise bike is the flywheel. The flywheel is connected to the pedals through a chain just like the standard road bike. Indoor Cycles are in fact built to feel like you're riding an outdoor bike. 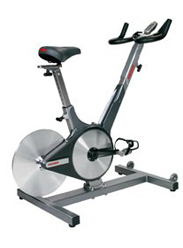 An indoor cycle has no motor, and doesn’t use magnetic induction. 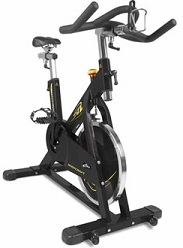 When you pedal, you move the flywheel, which rotates to simulate wheels on an outdoor bike. You can adjust the resistance with a knob or lever, which makes it harder for you to move the flywheel forward -- simulating wind resistance and climbing hills. 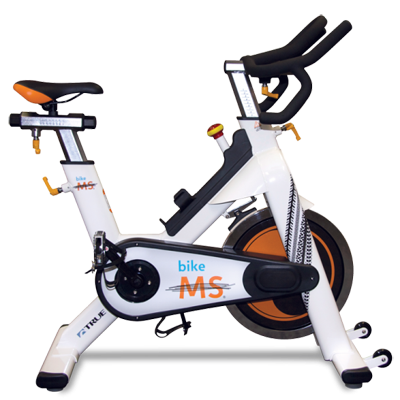 The seat on the spin bike is also similar to a standard bike. 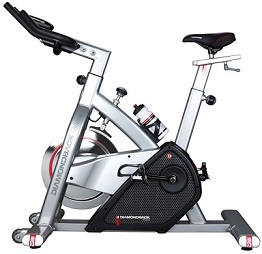 Not surprisingly, spinners can provide a much more intense cardio workout than a regular exercise bike…you can even stand up to pedal more intensely, as the center of gravity is lower than that of an upright bike. 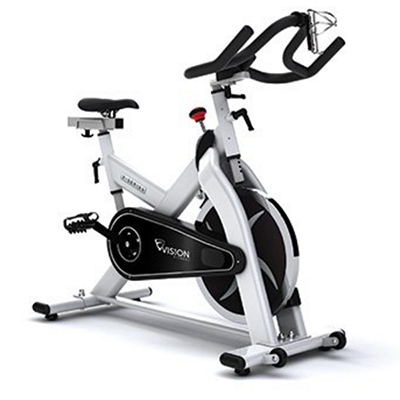 While they can provide a great cardio workout, if you’re not familiar with the various types of exercise bikes, or are new to fitness in general, you might want to consider an Upright Bike or a Recumbent Bike to start with (see our Exercise Bikes section for more information). 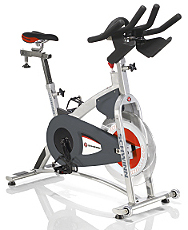 Spin bikes also have a smaller footprint, therefore take up less space in your home or gym. 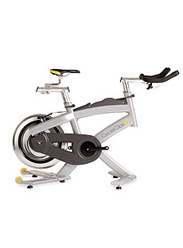 If you are an advanced user or a cycling enthusiast, indoor cycling bikes are a great fit. Not just because of their efficiency or the way they mimic the sensation of real-life cycling, but because their resistance delivery is superior, especially at higher levels of resistance. It is much smoother and more natural than that of upright bikes. 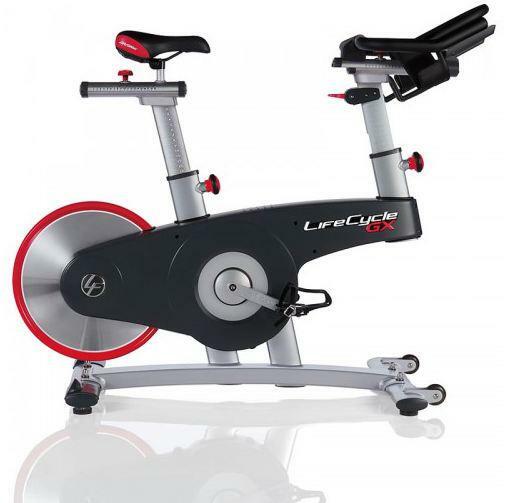 We carry top-rated Indoor Cycles and Cycles to suit every need....Life Fitness Lifecycles, CycleOps Indoor Cycles, True Spin Bikes, Diamondback Indoor Cycles, BodyCraft Spin Bikes, Scwhinn Indoor Cycles, Kettler Indoor Cycles and many more! 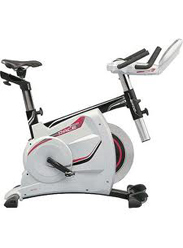 Come in and Talk to our fitness experts to get the best indoor cycle for you. 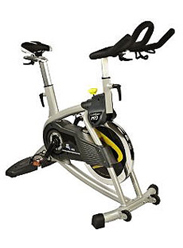 360 Fitness Superstore has all the Top-Rated Indoor Cycles of 2016...We have a huge selection, everything is IN STOCK, and we offer local Delivery, Service, and Installation. We have great low prices, and are usually the lowest price available on the internet. We'll beat your internet price!